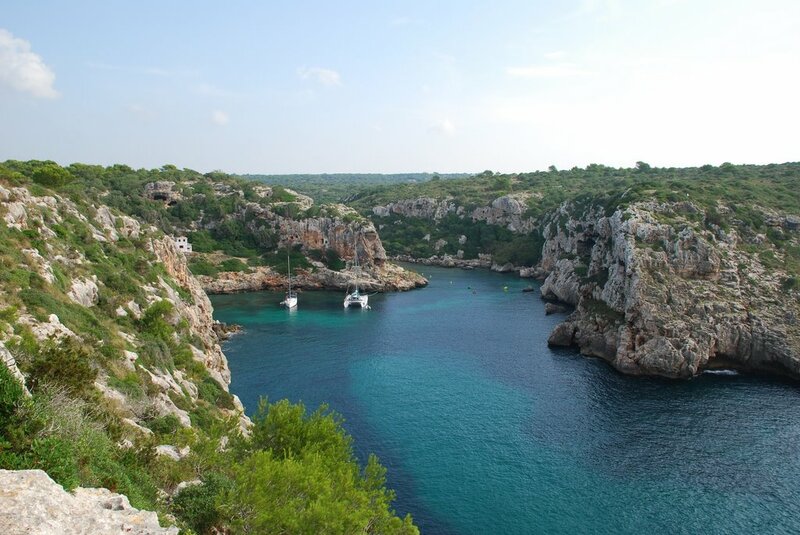 Cales Coves is an interesting option for those seeking to get away from the crowds. The “beaches “ are not very spectacular and basically not suitable for sunbathing and relaxing in the way we know it. There is basically only rock to spread your blanket on but if you find the right spot, it can be great as well. Despite the lack of whity sandy beaches, the place is awesome. The high rocks provide spectacular views of the Cales Coves bay, which usually attracts a couple of sailboats as well to enjoy the peace. The water is crystal clear and calls for snorkeling. 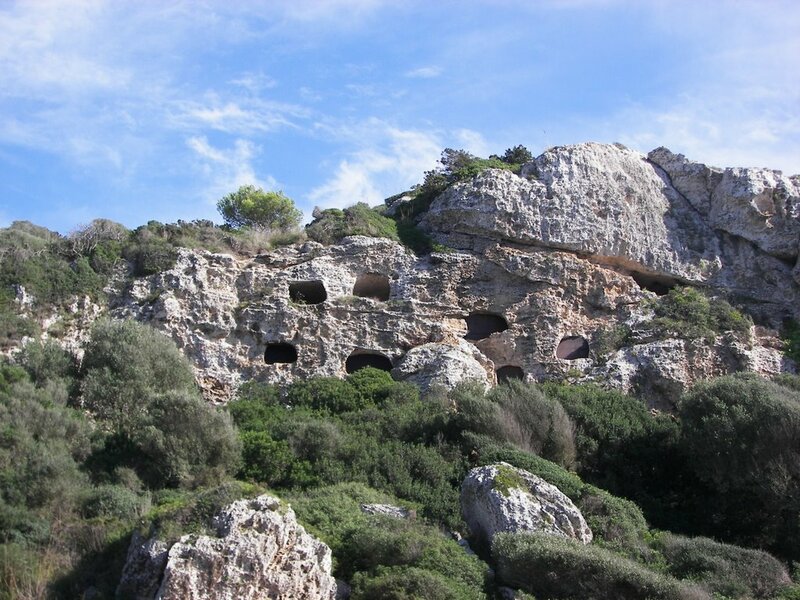 Cales Coves also features bronze age caves that are carved into the cliff looking out to a sheltered bay. Cave paintings and carvings are also to be found in this area. The parking lot is not very close, maybe 700m from the sea.